In any case, besides seminal contributions to the study of mood, emotions, and emotional intelligence he has and continues to contribute significantly to the application of social/personality principles to health protective behaviors, such as HIV/AIDS prevention, sunscreen use, and early detection, such as mammography. Probably his most substantive contribution involves research on the effects of informational framing, in terms of costs versus benefits, and tailoring to optimize the effectiveness of public service announcements. When is it optimal to use an appeal that emphasizes costs versus benefits? What attributes of recipients should be used to tailor the persuasive communications? This research has involved a large range of samples, but most notable are his programmatic interest in exploring different communication routes and engaging inner-city and other under-served populations in field settings. For those with a quantitative bent, Peter has published thirteen books and 359 peer-reviewed articles or chapters. He has received 19 awards, including being elected to the Institute of Medicine (2013), American Academy of Arts and Sciences, SAMHSA Excellence Award, G. Stanley Hall Lecturer from APA, NCI CIS Partner in Research Award, and an elected fellow of Division 38. Along the way, he collected three honorary degrees from National Tsing Hua University in Taiwan, Shanghai, Jiao Tong University in China and the University of Pretoria. He has served as an editorial board member several times for top-tier journals, as an Associate Editor of Psychological Bulletin and of Emotion and the Founding Editor of Review of General Psychology (three APA journals). His experience as a government consultant is also considerable. He has been PI or Co-PI for 30 grants, most of which were federal. He served as mentor or collaborator with several graduate students or fellows who have achieved notable success in health psychology; the list includes Elissa Epel, Alex Rothman, Christopher Hsee, David DeSteno, Antonio Freitas, Brian Bedell, Tamera Schneider, and Amy Latimer. In addition, Peter has served as Chair of the Psychology Department, Dean of Yale College, Dean of the Graduate School of Arts and Sciences, Provost and currently serves as President of Yale University. 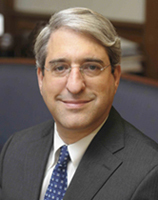 In sum, Peter Salovey has made extraordinary contributions to the field of psychology and to health psychology, in particular. He and his collaborators brought message framing to health psychology, he “talks and walks the talk” with respect to health disparities and underserved populations, and has elucidated the role of tailoring in theory-based programs and interventions. He is a “superstar role model” and embodies the spirit, vision, and accomplishment associated with the founders of the field. This entry was posted in Society for Health Psychology Awardees and tagged Fall 2015. Bookmark the permalink.